The European Commission has found evidence that carmakers are already manipulating new tests that estimate the fuel efficiency of new cars, according to a report in the Financial Times this week. It’s bad news, and particularly disappointing after the ‘Dieselgate’ scandal in 2015, which has led to widespread loss of public trust in car manufacturers. This matters if the UK is to tackle emissions from transport – now the most polluting sector of the economy. One of our key messages to Government in our recent Progress Report to Parliament was the need for ambitious fuel economy and emissions standards for new cars and vans, combined with strict enforcement of those standards. This will both drive innovation and protect consumers from being cheated at the fuel pump. It is now critical that new car and van fuel efficiency targets for 2025 and 2030 are set in the UK to deliver emissions reductions at a rate which will meet the carbon budgets approved by Parliament. The EU targets for 2025 will be set using the new light vehicle test procedure, known as WLTP, and are based on a percentage reduction in fuel (and emissions) per km driven from 2020/21. The targets are set using the average performance of all new cars and vans sold by that manufacturer in that year. By manipulating the test to achieve an artificially high starting point in 2020, manufacturers will effectively have an easier target to reach in 2025, reducing the need to deliver any real efficiency improvements. So what’s going on? Evidence has been found that manufacturers are deliberately carrying out tests on vehicles with depleted batteries, disabling start-stop systems that reduce emissions and driving cars in inefficient gears. Configuring vehicles in this way falsely raises the ‘starting point’ from which emissions reductions in 2025 will be measured. Manufacturers are also permitted to declare a fuel consumption value that slightly exceeds the value measured during the test. The evidence shows that, on average, manufacturers are inflating their results by 4.5% – simply declaring higher values than those measured. This opportunity to manipulate results has arisen because of a change in test procedure, from the current one to the new WLTP approach, with the aim of delivering test values closer to those motorists actually achieve on the road. However, even the new test does not accurately reflect real driving conditions, with an estimated 31% difference between the values measured by the test and in real world driving. The Government recently published a new Road to Zero strategy, which sets out how it plans to reduce emissions from UK road transport to zero by 2050. Although the new strategy fails to mention any concerns about the new test procedure, it does note that the proposed EU Commission regulations are not ambitious enough for the UK. The Government now needs to ensure new car and van fuel efficiency after 2020 is regulated in a way that avoids any exploitation of loopholes; and if the UK remains party to the EU targets it must put pressure on the EU to deliver a test regime that is fit for purpose – fair for the consumer and the environment. There is some hope. From 2020/2021, all new cars and vans sold must have a fuel consumption meter which gives an accurate measurement of how much fuel is consumed (and therefore how much CO2 is emitted) whilst the vehicles are being driven on real roads by real drivers. Our recent report to Parliament recommended that data from these meters should be used to ensure that the gap between the reported test data and the real-world driving performance of cars is not allowed to grow. Alternatively, the test procedure could be reinforced by a real-world driving test. This has already been implemented in the new air quality test procedure, to reduce opportunities for carmakers to manipulate the regulations. 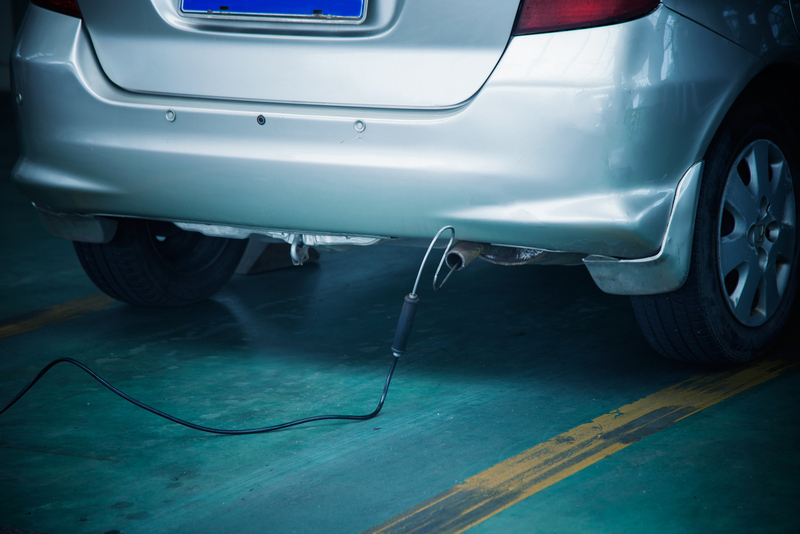 Strong, strictly enforced CO2 regulations are important to ensure manufacturers develop, market and sell electric and other ultra-low emission vehicles. This is the most cost-effective way to meet climate change targets, as well as ensuring that customers are not deceived on dealer forecourts and left paying inflated fuel bills. Currently, under 3% of manufacturer advertising spend goes towards electric models in the EU’s largest car markets – Germany, France, the UK, Italy and Spain – and there are long waiting lists for many EV models too. Well-designed regulations can help to ensure that manufacturers increase the variety and volume of electric cars for sale and actively market them to consumers, ensuring both greenhouse gas and air quality targets are met.